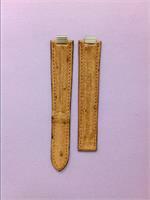 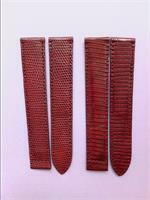 Burgundy Croc Strap,20-18/115-85mm,for 18mm AB for TANK BASC.LM Mech. 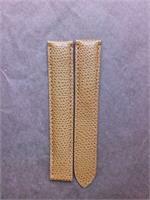 ;TANK BASC.XL Quartz/Mech. 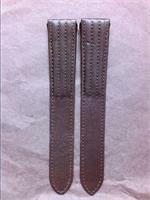 ;TANK FRANC.LM Mech./Autom. 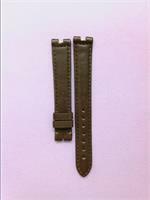 ;TANK FRANC.LM CHRONO REFLEX Quartz;TORTUE LM PERP.CALENDAR 2-TIME ZONES Mech. 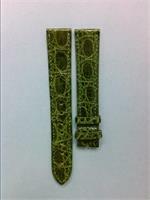 ;TORTUE XL 8 DAYS POWER RES.Mech. 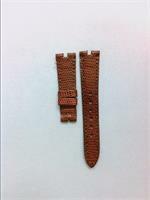 ;RONDE SOLO LM Quartz. 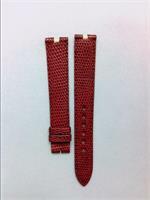 Claret Red Lizard Strap,16-14mm,length 115-85mm,for AB of 14mm,with centered notch of 4.2/3.6mm,for MUST VLC LM Quartz ; VLC LM 3-Gold Quartz ; VLC LM yellow gold Quartz. 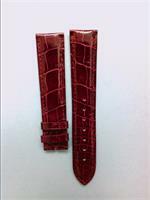 Claret Red Lizard Strap(001 007),17.5-16mm,length 105-100mm, for ADB of 16mm,for TANK CHINOISE SM Quartz;TANK CHINOISE LM Quartz;TANK LOUIS CARTIER LM v.1 Quartz/Mech. 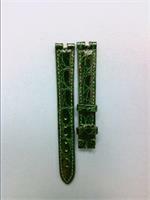 ;TANK LOUIS CARTIER LM EXTRA-FLAT Mech. 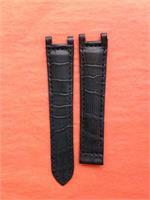 ;TANK MUST LM v.1Quartz/Mech;TANK SOLO SM Quartz. 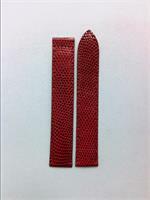 Claret Red Lizard Strap,18-16mm,length 100-85mm,for ADB of 16mm,for RONDE LC LM Quartz ; TANK BASCULANTE MM Quartz. 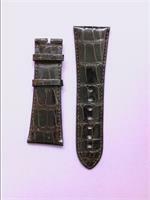 Shiny Dark Brown Alligator Strap(006 018),14-12mm,with centered notch of 3.7/3.6 mm,length 105-75mm,for AB (adjustable buckle)of 12mm, for MUST VLC SM Quartz ; VLC MM Quartz. 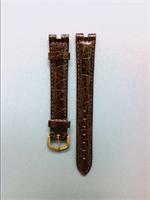 Dark Brown Alligator Strap,16-16mm,length 100-85mm,with centered notch of 4.2/3.6 mm ,for ADB(adjustable detachable buckle)of 16mm,for MUST VLC LM Quartz on a 16mm buckle;VLC LM 3-Gold Quartz on a 16mm buckle;VLC LM yellow gold Quartz on a 16mm buckle. 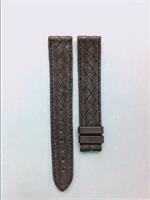 Shiny Dark Brown Caiman Strap(012 018),29-22mm,length 105-75mm,for AB(adjustable buckle)of 22mm,for TANK DIVAN Quartz/Automatic. 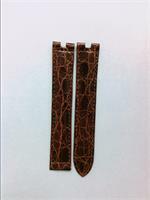 Shiny Dark Brown Lizard Strap,14-12mm,length 75-45mm,with centered notch of 3.7/3.6 mm,for AB (adjustable buckle)of 12mm,for MUST VLC SM Quartz;VLC MM 3-gold Quartz;VLC MM yellow gold Quartz. 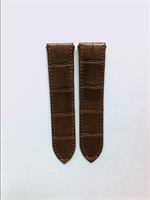 Shiny Dark Brown Lizard Strap[001 018],14-12mm,length 105-75mm, with centered notch of 3.7/3.6 mm,for AB of 12mm,for MUST VLC SM Quartz ; VLC MM 3-gold Quartz ; VLC MM yellow gold Quartz. 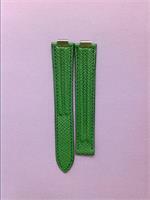 Shiny Dark Green Caiman Strap, 18-16mm,length 115-85mm,for AB of 16mm,for RONDE LC LM Mechanical and TANK BASCULANTE MM Quartz. 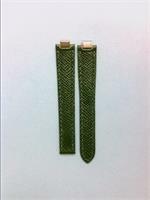 Shiny Dark Green Crocodile Strap(006 010),14-12mm,length 105-75mm,with centered notch of 3.7/3.6 mm,for AB (adjustable buckle) of 12mm,for MUST VLC SM Quartz ; VLC MM Quartz. 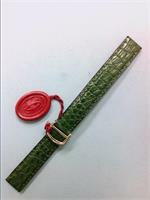 Dark Green Alligator Strap,15-14mm,length 90-85mm,with ADB of 14mm,for DIABOLO SM Quartz;PANTHERE MM Quartz;TANK CHINOISE SM Quartz;TANK FRANCAISE SM Quartz;TANK LC MM Quartz/Mech. 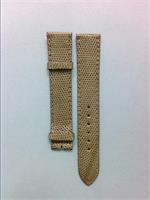 ;TANK MUST SM V.1 Quartz/Mech. 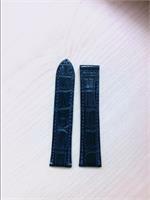 ;TORTUE LM EXTRA-FLAT Mech. 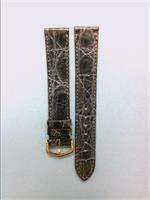 Shiny Grey Caiman Strap(006 016),18-16mm,length 115-85mm,for AB (adjustable buckle)of 16mm, for RONDE LC LM Quartz ; TANK BASCULANTE MM Quartz. 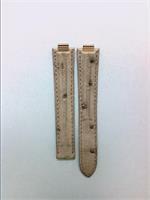 Grey Lizard Strap, 18-16mm,length 115-85mm,for AB (adjustable buckle)of 16mm, for RONDE LC LM Quartz;TANK BASCULANTE MM Quartz. 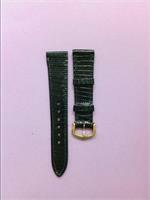 Grey Ostrich Strap,8-14mm,length 85-80mm,with 21 Must godron link of 8mm,for ADB (adjustable detachable buckle) of 14mm,for 21 MUST de CARTIER LM Quartz. 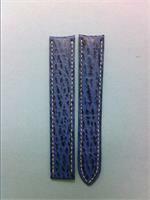 Lapislazuli Shark Strap,curved,with white stitches,17-16mm,length 100-95mm,for ADB (adjustable detachable buckle)of 16mm,for MUST II RONDE LM Quartz. 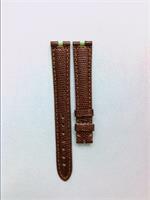 Brown Ostrich Strap, 8-14mm, with 21 Must godron-link of 8mm, length 100-85mm, for ADB (adjustable detachable buckle) of 14mm, for 21 MUST LM Quartz. 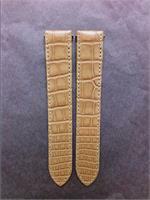 Cartier-Mat Beige Crocodile Strap, 19-18mm, length 115-115, for DADB (double adjustable detachable buckle) of 18mm, for Roadster models. 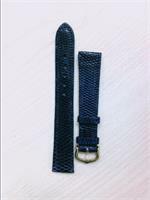 Matte Navy Blue Alligator Strap,18-16mm,length 100-85mm, for ADB (adjustable detachable buckle), with notch of 10/ 4.6mm,for PASHA de CARTIER 35 MM Quartz/Mechanical/Automatic. 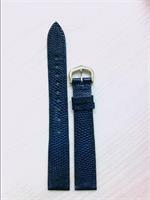 Navy Blue Lizard Strap, 16-14mm, length 100-65mm, for AB (adjustable buckle)of 14mm, for CARREES ATTACHES OBUS Quartz ; TANK LOUIS CARTIER SM VERSION 2 WATER RESISTANT Quartz ; TANK MUST II VERSION WATER RESISTANT Quartz ; RONDE SOLO de CARTIER SM Quartz.